This building is now available for sale or lease. Contact Zacher Company in Fort Wayne. Lunch Buffet 10:30 - 3:00 Mon. - Sat. Dinner Buffet 3:00 pm - 9:30 pm Mon. - Sat. All Soda, Coffee, Tea, Ice and Water Are Treated For Purity. Provided as a courtesy by our friends at WaterFiltersOnline.com, replacement water filters and reverse osmosis membranes. 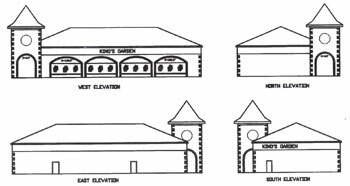 Groundbreaking for the new restaurant, called King’s Garden, will be in the next 30 days. It will rest just 11 feet from the Applebee’s parking lot, said Wayne Grigsby, president of Northpoint Group, the development company bringing the restaurant to town. This will be the 19th project in Northpoint Park, which includes the Huntington 7 theater complex, North Star Civic Center, Amerihost Inn, and Applebee’s. The building — designed by Grigsby and built by Speicher Construction and owned by Northpoint Commons, LLC— will be all brick and stone, featuring a faux clock tower at one end of the structure. “It looks like another fine family restaurant that is coming to Huntington,” said Mayor Terry Abbett. Abbett was lauded by Grigsby for being a helping hand in bringing King’s Garden to town. King’s Garden, Huntington’s newest Chinese restaurant, opened its doors this past week following more than nine months of construction. Offering a wide variety of Chinese foods, King’s Garden features an all-you-can-eat buffet, menu items, and Mongolian barbecue on a flat-top grill. The Mongolian stir-fry is included with the buffet price and is cooked to order. A customer can choose between three different meats, noodles, an array of vegetables, and a variety of sauces and seasonings for the stir-fry. 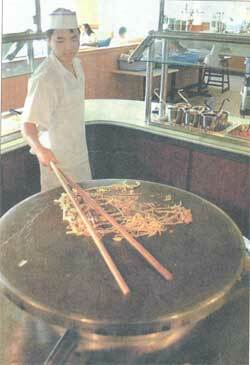 Cook Carl Wang, who runs the Mongolian grill, said he serves between 150-200 dishes a day on the flat-top grill. Jimmy Lin, a restaurant employee and the owner’s son, said the restaurant holds roughly 200 people and has been serving on average 500 people a day its first week. No MSG is used in any of the dishes, Lin said, and only 100 percent vegetable oil is used. 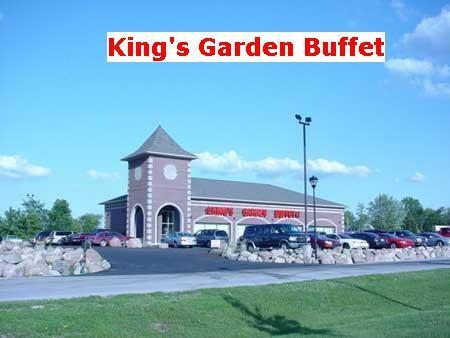 When visiting King’s Garden, patrons can expect a loaded buffet for both lunch and dinner. In the evening, however, more dishes with meats such as roast, pork, turkey and seafood are available on the all-you-can-eat buffet. The restaurant also plans to add sushi to the menu. “Due to the evening rush, a 10-15 minute wait can be expected for parties without reservations,” said Lin. King’s Garden is a small chain with restaurants in Warsaw, Plymouth, South Bend, Goshen, and two in Elkhart. King’s Garden in Huntington is located at 2807 Hotel Ave. Business hours are Monday through Saturday, 10:30 a.m. to 10 p.m., and Sunday from 11 a.m. to 9:30 p.m.